Monday, September 4th, is Labor Day in the United States. National, state, and local government offices will be closed, as will most non-retail business. In much of America Labor Day marks end of summer. As I sit in a comfortable chair in my air-conditioned office today the outdoor temperature is expected approach 80 degrees. And I think of the men I saw, as I took an air-conditioned Uber to the swimming pool during those 90-degree plus days in July, hand-tamping hot asphalt paving under the scorching sun. As my fingers move across the keyboard the overhead light reflects off my freshly manicured nails and the cuff links in my soft, clean, white shirt. As I think of my relative comfort I remember that I enjoy ease because other men and women are out in the heat and sun doing dirty backbreaking work. And that is why we set aside the first Monday in September as Labor Day. Of course, Labor Day honors all workers, not only those who do manual labor. But it is good to remind ourselves from time to time of the necessity of manual labor. Ordinary Americans today enjoy necessities of life, security, and even luxuries the envy of princes in an earlier age. The bright, hardworking, and daring men and women of Wall Street and other financial markets created new and innovative ways to maximize wealth, and gave us the most prosperous society the world has known, and one in which wealth, has been distributed more widely than ever before. In sum, our financial markets -- at least when left alone -- do a bully job of managing wealth. But they do not create wealth. Ultimately you have to make it (manufacturing), mine it (digging or drilling), or grow it (agriculture). Someone has to build houses for the economic indicators to register an increase in housing starts. Some has to drill if we are to have the oil to fuel our economy. Someone has to hoe and weed to keep Whole Foods (whole-paycheck we call it my house) stocked with the organic fruit and vegetables we love to consume. 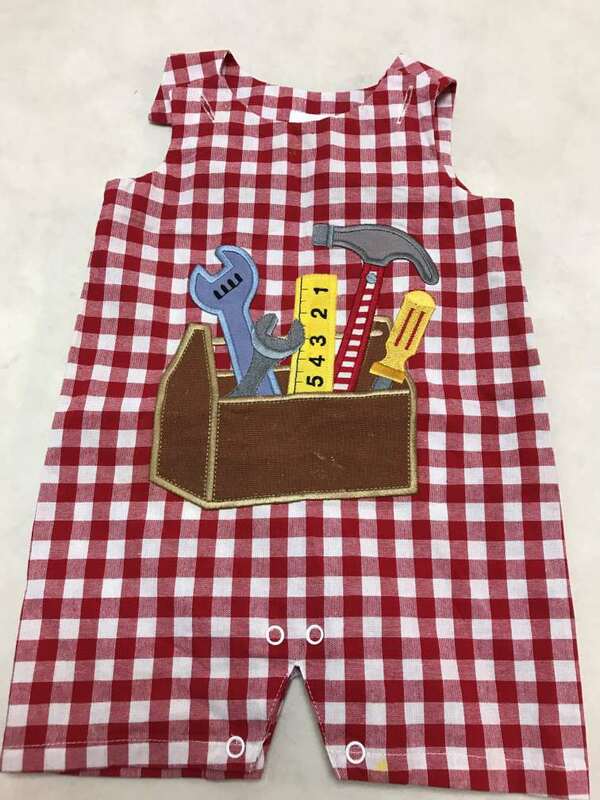 Description: This recall involves Fabri-Tech’s infant shortall rompers. 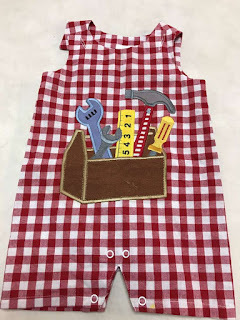 The red and white-checkered rompers have a toolbox design on the front and two buttons at the top of the straps that button over the shoulders. They were sold in boy’s sizes 6-9m, 12m and 18m. The size, “decorated originals for kids” logo and “PO# 906512 PD 12/8/16” are printed on the neck label. Remedy: Consumers should immediately stop using the recalled rompers and return them to any Cracker Barrel Old Country Store® for a full refund or contact Fabri-Tech to receive a prepaid shipping label for returning the recalled romper for a full refund. Incidents/Injuries: Fabri-Tech has received one report of an infant putting a detached button in his mouth. No injuries have been reported. Sold Exclusively At: Cracker Barrel Old Country Store stores nationwide from April 2017 through July 2017 for about $20. Importer(s): Fabri-Tech Inc., of Jenison, Mich. Distributor(s): Fabri-Tech Inc., of Jenison, Mich.
"While FTZs were created to provide public benefits, little is known about FTZs' economic impact. For example, few economic studies have focused on FTZs, and those that have do not quantify FTZs' economic impacts. In addition, these studies do not address the question of what the economic activity, such as employment, would have been in the absence of companies having FTZ status. "Customs has not assessed compliance risks across the FTZ program, and its methods for collecting compliance and enforcement data impair its ability to assess and respond to program-wide risks. While CBP regularly conducts compliance reviews of individual FTZ operators to ensure compliance with U.S. customs laws and regulations, it does not centrally compile FTZ compliance and enforcement information to analyze and respond to compliance and internal control risks across the program. Federal internal control standards state that management should obtain relevant data and assess and respond to identified risks associated with achieving agency goals. Without a program-wide assessment of the frequency and significance of problems identified during compliance reviews, risk levels determined, and enforcement actions taken, CBP cannot verify its assertion that the FTZ program is at low risk of noncompliance. Incorrect determinations about program risk level may impact program effectiveness and revenue collection for the FTZ program, which accounted for approximately 11 percent of U.S. imports in 2015." North American Manufacturing Co., Scranton, Pennsylvania, has been awarded a maximum $47,653,125 modification (P00006) to a five-year contract (SPE8ED-13-D-0001) with three one-year option periods for military folding cots. This is a fixed-price with economic-price-adjustment contract. Location of performance is Pennsylvania, with a Sept. 26, 2018, performance completion date. Using customers are Army, Navy, Air Force, Marine Corps and federal civilian agencies. Type of appropriation is fiscal 2017 through 2018 defense working capital funds. The contracting activity is the Defense Logistics Agency Troop Support, Philadelphia, Pennsylvania. Description: This recall involves Arc’teryx Procline ski mountaineering boots sold in the following models: Procline carbon support boot, Procline carbon lite boot. The boots were sold in one color, cayenne (orange)/black and in men’s sizes 7½ to 14 and women’s sizes 6 to 10½ (MONDO sizes 23-30.5). “Arc’teryx” is located on the front of the boot. Sold at: Ski and outdoor specialty stores such as Moosejaw and REI nationwide and online at Arcteryx.com and retailer websites such as Moosejaw.com and REI.com from April 2016 through March 2017 for between $750 and $1,000. Description: This recall involves Dr. Martens unisex Vegan 1460 eight eye boots sold in cherry red with black shoelaces in all sizes. The boots have a chunky sole and a golden heel pull tab with “AirWair” printed on it. “Made in Vietnam” and product code 14585 are printed on the tongue label with the batch code starting with “GV” and ending in Q, R or S.
Sold at: Dr. Martens, Journeys and independent stores nationwide and online at Amazon.com, DrMartens.com, Shoebuy.com and other websites from January 2015 through July 2017 for about $125. Importer(s): Airwair, of Portland, Ore.
Today the Consumer Product Safety Commission published its semiannual agenda of regulatory actions that the Commission expects to be under development or review by the agency during the next year, including it long term action (initiated in 1994) Flammability Standard for Upholstered Furniture. Comments should be received in the Office of the Secretary on or before September 25, 2017. See the Federal Register Notice HERE. The United States Trade Representative has initiated an investigation pursuant to the Trade Act of 1974, as amended (the Trade Act), to determine whether acts, policies, and practices of the Government of China related to technology transfer, intellectual property, and innovation are actionable under the Trade Act. The inter-agency Section 301 Committee is holding a public hearing and seeking comments in connection with this investigation. To be assured of consideration, written comments and requests to appear at the hearing must be submitted by Thursday, September 28, 2017 at 11:59 p.m. The request to appear must include a summary of testimony. Tuesday, October 10, 2017: The Section 301 Committee will convene a public hearing in the main hearing room of the U.S. International Trade Commission. To be assured of consideration, post-hearing rebuttal comments must be submitted by Friday, October 20, 2017 at 11:59 p.m.
China has implemented laws, policies, and practices and has taken actions related to intellectual property, innovation, and technology that may encourage or require the transfer of American technology and intellectual property to enterprises in China or that may otherwise negatively affect American economic interests. These laws, policies, practices, and actions may inhibit United States exports, deprive United States citizens of fair remuneration for their innovations, divert American jobs to workers in China, contribute to our trade deficit with China, and otherwise undermine American manufacturing, services, and innovation. First, the Chinese government reportedly uses a variety of tools, including opaque and discretionary administrative approval processes, joint venture requirements, foreign equity limitations, procurements, and other mechanisms to regulate or intervene in U.S. companies' operations in China, in order to require or pressure the transfer of technologies and intellectual property to Chinese companies. Moreover, many U.S. companies report facing vague and unwritten rules, as well as local rules that diverge from national ones, which are applied in a selective and non-transparent manner by Chinese government officials to pressure technology transfer. Second, the Chinese government's acts, policies and practices reportedly deprive U.S. companies of the ability to set market-based terms in licensing and other technology-related negotiations with Chinese companies and undermine U.S. companies' control over their technology in China. For example, the Regulations on Technology Import and Export Administration mandate particular terms for indemnities and ownership of technology improvements for imported technology, and other measures also impose non-market terms in licensing and technology contracts. Fourth, the investigation will consider whether the Chinese government is conducting or supporting unauthorized intrusions into U.S. commercial computer networks or cyber-enabled theft of intellectual property, trade secrets, or confidential business information, and whether this conduct harms U.S. companies or provides competitive advantages to Chinese companies or commercial sectors. In addition to these four types of conduct, interested parties may submit for consideration information on other acts, policies and practices of China relating to technology transfer, intellectual property, and innovation described in the President's Memorandum that might be included in this investigation, and/or might be addressed through other applicable mechanisms. 1. The acts, policies, and practices of the Chinese government described above. 2. Information on other acts, policies and practices of China relating to technology transfer, intellectual property, and innovation as described in the President's Memorandum, which might be included in this investigation, and/or might be addressed through other applicable mechanisms. 3. The nature and level of burden or restriction on U.S. commerce caused by the applicable acts, policies and practices of the Government of China, and/or any economic assessment of that burden or restriction. 4. The determinations required under section 304 of the Trade Act, that is, whether actionable conduct exists under section 301(b) and what action, if any, should be taken. DATES: Written comments must be submitted on or before October 23, 2017. The Foreign-Trade Zone Annual Report is the vehicle by which Foreign-Trade Zone grantees report annually to the Foreign-Trade Zones Board, pursuant to the requirements of the Foreign-Trade Zones Act (19 U.S.C. 81a-81u). The annual reports submitted by grantees are the only complete source of compiled information on FTZs. The data and information contained in the reports relates to international trade activity in FTZs. The reports are used by the Congress and the Department to determine the economic effect of the FTZ program. The reports are also used by the FTZ Board and other trade policy officials to determine whether zone activity is consistent with U.S. international trade policy, and whether it is in the public interest. The public uses the information regarding activities carried out in FTZs to evaluate their effect on industry sectors. The information contained in annual reports also helps zone grantees in their marketing efforts. This is a request for a renewal of a currently approved information collection. "Coleman is prepared to accept two restrictions on manufacturing authority in Sauk Rapids. First, leaving aside a permanent grant of authority, Coleman’s preference would be for a 10-year duration. However, for the sake of compromise and to facilitate a positive decision, Coleman can accept a shorter duration, given that continuation of the status quo disadvantages our operations in Sauk Rapids. Therefore, Coleman proposes a 7-year time limit (subject to review and renewal). This would give Coleman an adequate duration to enable an acceptable return on the additional investment Coleman makes in Sauk Rapids. After the agreed upon duration, the FTZ board will be able to review the situation and determine if a further continuation of the manufacturing authority for the nylon and polyester fabrics provides a net economic benefit to the United States. "Second, Coleman is willing to accept annual quantity limitations. [I]n hopes of achieving a constructive, mutually beneficial approach, Coleman would accept quantitative limitations on polyester (HTS subheading 5407.52.00) fabric that is entered for use in PFDs produced in the FTZ that would then enter the United States at an effective 4.5% duty, as normally applicable to finished PFDs. Coleman suggests 1.5 million linear yards with an annual increase of 5%. Coleman recognizes that the nylon fabric (HTS subheading 5407.42.20) has been of greater sensitivity and, therefore, suggests 800,000 linear yards with no growth rate. The nylon used by Coleman for PFDs made in the FTZ also would enter the United States at the 4.5% duty rate applied to finished PFDs, which is the same effective duty rate paid for the fabric when it enters incorporated in PFDs made by Coleman’s Asian sources and competitors." The Foreign-Trade Zones Board is inviting public comment on a submission containing new evidence pertainingto the application of The Coleman Company, Inc. requesting unrestricted production authority within Subzone 119I at the Coleman facility located in Sauk Rapids, Minnesota. Specifically, the application requests unrestricted authority to produce personal flotation devices and flotation cushions using the following inputs in foreign status: Certain nylon and polyester woven fabrics; webbing of man-made fibers; neoprene fabrics; knit polyester fleece fabrics; and, water soluble sensing elements. On July 31, 2017, Coleman made a submission to the FTZ Board that included new evidence in response to the examiner's preliminary recommendation not to approve the unrestricted authority. Public comment is invited on Coleman's submission through September 22, 2017. Rebuttal comments may be submitted through the subsequent 15-day period, until October 10, 2017. The American Flock Association 32nd Annual Meeting will be at the Hilton Garden Inn, Novi, Michigan, October 22nd and 23rd, 2017. Following the meeting the AFA will be exhibiting at the AUTO INTERIOR EXPO, October 24th - 26th (Booth A148). This year's meeting will be focused on flocking for the automotive industry. Here is a chance to interact with industry leaders, to discuss new concepts for Flock, and to learn about the future of Flock in cars. The registration form and further details will soon be on the AFA web site soon, www.flocking.org. Request for Comment on the Costs and Benefits to U.S. Industry of U.S. International Government Procurement Obligations for Report to the President on "Buy American and Hire American"
Section 3(e) of the Presidential Executive Order on Buy American and Hire American directs the Secretary of Commerce and the United States Trade Representative to assess the impacts of all United States free trade agreements and the World Trade Organization Agreement on Government Procurement (GPA) on the operation of Buy American Laws, including their impacts on the implementation of domestic procurement preferences. The Executive Order can be found here: https://www.whitehouse.gov/the-press-office/2017/04/18/presidential-executive-order-buy-american-and-hire-american. The Secretary of Commerce and the United States Trade Representative are required to conclude the assessme and submit to the President of the United States by November 24, 2017. DATES: September 18, 2017 at 11:59 p.m. Eastern Daylight Time (EDT) is the deadline for interested persons to submit written comments. Additional costs relating to providing or otherwise proving the country of origin of goods provided. The questions below are focused on gathering information on the access to U.S. federal and/or foreign government procurement markets for goods that are manufactured in the United States, regardless of the nationality or location of the supplier. Additionally, this includes goods that are furnished to the U.S. federal and/or foreign government that may be a part of a contract for services, such as products that may be provided to the government as part of a contract for IT services, where Buy American Laws might otherwise apply. What is your company's experience with respect to U.S. federal and/or foreign government procurement, either as prime contractor or a subcontractor? While any experience is welcome, please identify experiences within the past 5 years. Have you bid on U.S. federal contracts? How many? Were you awarded any U.S. federal contracts? How many? What share of annual revenue from your U.S. operations was from U.S. federal contracts? Have you bid on foreign government contracts? How many? List the countries of five largest bids. Were you awarded any foreign government contracts? How many? List the countries of five largest awards. What share of annual revenue from your U.S. operations was from foreign government contracts? List the industries in which your company was awarded U.S. federal or foreign government contracts. Indicate NAICS code(s) if possible. Please describe in a few sentences how your company's decisions to bid on or supply U.S. federal contracts (as a prime or subcontractor or company that produces goods used in procurements) are affected by U.S. free trade agreements and the WTO GPA which allow equal participation by companies from U.S. trading partners. Please describe in few sentences your company's experience as a prime or subcontractor in bidding on national government procurements in countries with which the U.S. has a trade agreement with government procurement obligations. What are your three greatest challenges? (These countries are: Armenia, Aruba, Australia, Bahrain, Canada, Chile, Chinese Taipei (Taiwan), Colombia, Costa Rica, Dominican Republic, El Salvador, the European Union (which includes Austria, Belgium, Bulgaria, Croatia, Cyprus, Czech Republic, Denmark, Estonia, Finland, France, Germany, Greece, Hungary, Ireland, Italy, Latvia, Lithuania, Luxemburg, Malta, the Netherlands, Poland, Portugal, Romania, Slovak Republic, Slovenia, Spain, Sweden, and the United Kingdom), Guatemala, Honduras, Hong Kong, Iceland, Israel, Japan, the Republic of Korea, Liechtenstein, Mexico, the Republic of Moldova, Montenegro, Morocco, New Zealand, Nicaragua, Norway, Oman, Panama, Peru, Singapore, Switzerland, and Ukraine.) How does this differ from your experience competing for bids in markets in countries with which the U.S. does not have a trade agreement with government procurement obligations? What is the average U.S. content of goods that your company supplies to the U.S. federal government? What is the average U.S. content of goods that your company supplies to foreign governments? What are the three principal barriers to having 100% domestic content in the goods that you produce for U.S. federal or foreign governments? Please describe in a few sentences how trade agreements with government procurement obligations affect strategic decisions your company makes about production and supply chains for government procurements as well as for commercial (private sector) customers. Please describe in a few sentences any experience your company has had with conflict between Buy American or similar foreign requirements and U.S. free trade agreement or WTO GPA requirements, including whether and how the conflict was resolved. Please describe in a few sentences whether the presence of Buy American or similar foreign requirements affected positively or negatively your company's ability to bid and/or win contracts for U.S. or foreign government procurement. On Wednesday, August 16, 2017, U.S. Customs and Border Protection (CBP) published a Federal Register Notice (FRN) providing an extension and clarification about the transition of the electronic Foreign Trade Zone (FTZ) Admission Application's test program from the Automated Commercial System ("ACS") to ACE. This document announces U.S. Customs and Border Protection's plan to extend a test program for submitting electronic Foreign Trade Zone admission applications to CBP via the Automated Broker Interface (ABI). This notice further announces a clarification regarding the data elements that are required for the submission of an FTZ admission application, as well as the transition of the test program from the Automated Commercial System (ACS) to the Automated Commercial Environment (ACE). DATES: October 2, 2017 at midnight EST: Deadline for submission of written comments. October 16, 2017 at midnight EST: Deadline for submission of rebuttal comments and other information USTR should consider during the review. On March 30, 2017, SGL Automotive Carbon Fibers, LLC (SGLACF), submitted a notification of proposed revision to existing production authority to the Foreign-Trade Zone Board for its facility within FTZ 203--Site 3, in Moses Lake, Washington. The application related to the importation of polyacrylonitrile (PAN) fiber for use in the production of carbon fiber. Through the years there have been a few other carbon fiber FTZ applications. The U.S. producer Hexcel has always opposed and the applications have been approved, but with significant restrictions. "[T]he purpose of this request is not for duty reduction purposes but for logistical recordkeeping purposes. Since the carbon fiber being produced in the zone that will be entered into the customs territory will have duties assessed at the rate applicable to the imported PAN (7.5%) there will be no duty reduction benefit. For example, in 2016 it took 2kg of PAN to produce 1kg of carbon fiber. If, in 2017, the ratio remains 2kg of PAN to make 1kg of carbon fiber and the cost of the PAN is $4.00 per kg, every kg of carbon fiber that will be entered into the customs territory will be valued at $8.00. Thus, every kg of PAN that will be used in the production of the carbon fiber to be entered into the customs territory will be subject to duty at 7.5%. SGLACF recognizes that there is a small amount of scrap that is generated during the process. For 2016, the scrap factor was slightly higher than 1%. SGLACF would add its scrap factor from the previous year to each entry of carbon fiber it files. For example, assuming a scrap factor for 2016 of 1%, if SGLACF files an entry in 2017 for 1,000kg of carbon fiber with a value of $8,000 (2,000kg of PAN, at $4 per kg, would be used in the production of the 1,000kg of carbon fiber), SGLACF would include on the entry an addition of 10kgs valued at $80 covering the scrap generated and it would be subject to duty at the 7.5% rate applicable to the PAN. Thus, the total amount of duty paid by SGLACF on the carbon fiber produced using privileged foreign status PAN should be virtually identical to the total amount of duty that would have been paid on the imported PAN when entered into the customs territory of the United States at the U.S. port of unlading prior to its use as imported duty-paid domestic status PAN in the production of carbon fiber." They were successful in obtaining a letter from Hexcel stating that there was no objection to the application. Yesterday the FTZ Board announced its approval of the application involving SGLACF's admission of all foreign-status status polyacrylonitrile (PAN) fiber in privileged foreign status (19 CFR 146.41). The proposed revision described in the notification was authorized, subject to the FTZ Act and the FTZ Board's regulations, including Section 400.14. For U.S. entry of carbon fiber produced in the FTZ, SGLACF will make duty payment at the polyacrylonitrile (PAN) fiber duty rate on the full value of PAN fiber introduced into the production process, including making duty payment at the PAN fiber duty rate on an estimated value of PAN fiber contained in scrap resulting from the production process (based on the actual percentage of scrap and the PAN to carbon fiber ratio from the preceding year's production). Description: This recall involves McRae Industrial brand steel toe boots, static dissipative shoes and composite boots. There are seven styles of the McRae Industrial brand shoes included in the recall. The model numbers are MR85300, MR85394, MR47321, MR47616, MR87321, MR43002, and MR83310 printed on a tag on the lining of the boot or the tongue of the shoe. Remedy: Consumers should immediately stop wearing the recalled boots and shoes and return to firm to receive a full refund. Incidents/Injuries: The firm has received one report of a tire falling onto a consumer’s foot while he was wearing his safety boots; resulting in a broken foot. Sold At: Gerler and Son Inc., Grainger Inc., Safety Solutions Inc., Standup Rancher and other independent safety stores nationwide and online at Kohls.com, Steel-Toe-Shoes.com, Thewesterncompany.com, Workboots.com, from October 2013 through June 2017 for between $80 and $130. Importer(s): Dan Post Boot Company, of Clarksville, Tenn. Description: This recall involves Laura Ashley London Girl's Floral Clip Dot dresses. The 100% woven cotton dresses were sold in a pink multicolor floral pattern with or without a matching diaper cover. The dresses have a set of three pink petal flowers at the waist and were sold in newborn to girl’s sizes 0/3M through 6X. “Laura Ashley London” and the size are printed on a tag attached to the inside back of the dress. Style numbers 17156300, 17156307, 17156344, 27156300, 27156307, 27156344, 47156300, 47156307, 47156344 are included in this recall. The style number is printed on a tag located on the inside seam on the side of the dress. Incidents/Injuries: The firm has received one report of a flower petal detaching from the dress. No injuries have been reported. Sold at: Dillard’s stores nationwide and online at Amazon.com, Dillards.com and Zulily.com from January 2017 through July 2017 for between $27 and $40. 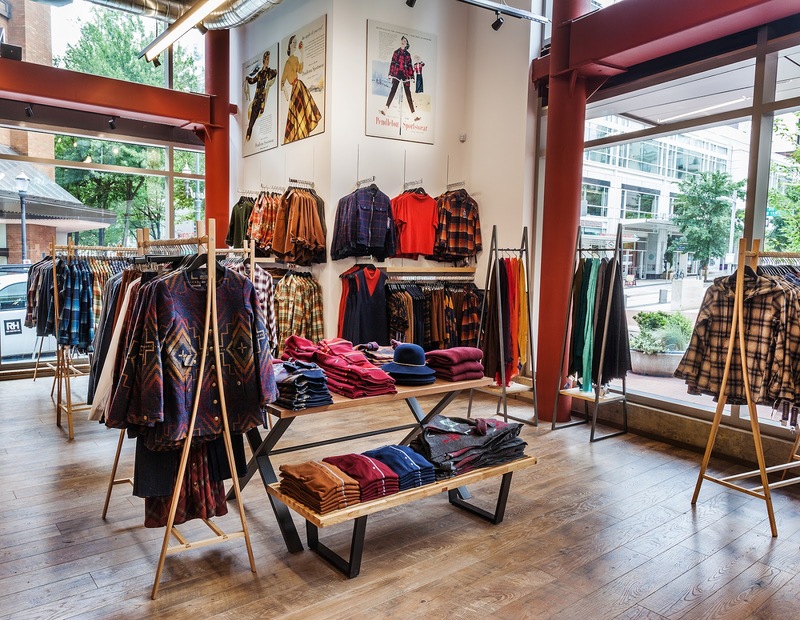 Importer(s):Pastourelle LLC, licensed through Laura Ashley, of New York, N.Y.
Pendleton Woolen Mills announces the opening of a new flagship store in the Park Avenue West building of downtown Portland, OR. Pendleton at Park Avenue West embraces a curated collection of iconic product connecting the American Heritage brand to the retail heart of the city. The new store echoes the brand’s rooted “Born in Oregon” history, emphasizing Pacific Northwest style that reflects American fashion across the country and globe. Pendleton’s flagship store pays tribute to Portland as an epicenter of the Maker Movement. As a company operated by a family that has been making woolen fabrics in Oregon since 1863, Pendleton proudly considers itself a leader of the local maker movement. To celebrate that claim, the store will feature elements handmade by a new generation of local craftsman, including LR Design Lab, Esque Studio, AD Busch and Ramsay Signs. These makers are producing custom, one-of-a-kind fixtures, signage and lighting to bring the Oregon experience to life. In store, visitors will learn about the wool manufacturing process of the mills, collaboration with local wool growers, history and relationship with Native American tribes, Pendleton’s commitment to community involvement, philanthropic partnerships, and the preservation of the relationship to American fashion, music, industry and culture. Leslie Taito, Senior Vice President of Corporate Operations for Hope Global in Cumberland, Rhode Island, has been named to the National Institute of Standards and Technology Manufacturing Extension Partnership ("MEP") Advisory Board (http://www.nist.gov/mep). The NIST MEP Advisory Board is a national board that is legislatively mandated and established under the Federal Advisory Committee Act. On August 11 23, 2017, the Office of the U.S. Trade Representative published in the Federal Register (82 FR 37652) Generalized System of Preferences ("GSP"): Initiation of the 2017 Annual GSP Product and Country Practices Review; Deadlines for Filing Petitions; Notice of Change in Country Practices Hearing. The Office of the United States Trade Representative will consider petitions to modify the list of articles that are eligible for duty-free treatment under the Generalized System of Preferences program, and to modify the GSP status of certain GSP beneficiary developing countries because of country practices.